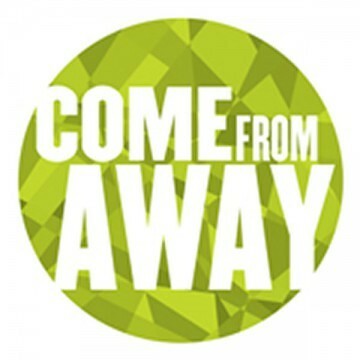 Come From Away is a story of humanity set against the backdrop of tragedy. The committee was drawn by the power of the story of a little town caught up in a major world event. A terrific regional score drives this highly original and exciting new work. It’s based on a true story. Every character, story and much of the text comes from interviews we conducted for over a year with people from around the world. Though almost 7000 people were stranded in Gander, Come From Away can be told with as few as ten people and a bunch of chairs. Similarly, the unique celtic instrumentation includes a fiddle, bodhran, accordion, and something called an “ugly stick” – but has also been performed with just a piano. Newfoundland is an isolated island province and the most eastern point in North America. With one of the largest airports in the world, Gander was a major refueling stop during World War 2, visited by the Beatles, Albert Einstein, the Queen of England and Fidel Castro; but when jumbo jets stopped needing to refuel, the airport lost its purpose — until September 11th. We want to develop the show through readings, workshops and a full production and are looking for theaters and commercial producers to help make that happen. Though we’re Canadian writers, we lived in Manhattan on September 11th, 2001 and we were in Newfoundland, along with countless returning passengers, for the tenth anniversary commemoration ceremonies. We are thrilled to bring this untold story back to New York.